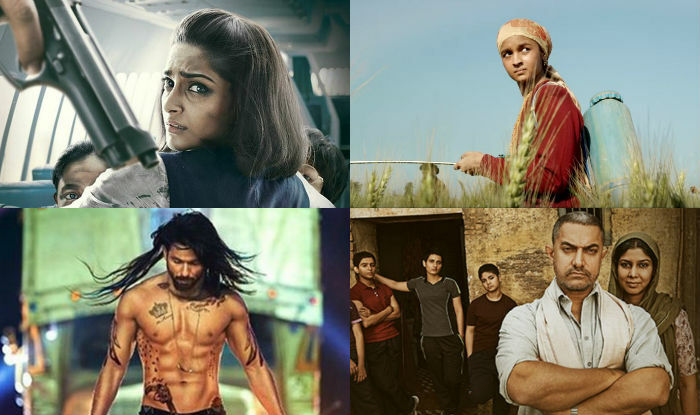 The Winners List Of The 62nd Jio Filmfare Awards 2017 Is Here. Bollywood came together to celebrate the performances of 2016 at the 62nd Jio Filmfare Awards 2017. The star-studded award function was attended by the who’s who of Bollywood, and this glamorous night was no ordinary one! We’ll be honest – a lot of the performances were well deserving. At least, Filmfare did not give an award to someone who did not deserve it (Remember how Disha Patani won the best debut at Star Screen Awards? Phew). However, there were performances that could have very well shared the award with one of the winners and some that were clearly ignored from the nomination list. Dangal took home the award for Best Film and it was worth it, but didn’t the organizers miss nominating Akshay Kumar’s Airlift? Wasn’t that a deserving movie? Sushant Singh Rajput was truly brilliant as MS Dhoni and he deserved to share the Best Actor award with Aamir Khan. Rishi Kapoor was amazing as Dadu in Kapoor and Sons and took home the award for Best Actor in a Supporting Role, but it seemed like Rajkummar Rao for Aligarh, and Fawad Khan deserved to share his award with him. In fact, maybe it was Rajkummar Rao who should have taken the award home. Have you seen his performance? He was brilliant! Sana Sheik became her character in Dangal. It’s not easy to learn wrestling and perform like a boss next to Aamir Khan! But she didn’t even get a best actress nomination. This is the same show that nominated Shah Rukh Khan for Best Actor for Dilwale last year! Nonetheless, to each his own, right? In Pictures: Deepika Padukone Is Giving Us Some Serious #BodyGoals In The Latest Photoshoot for Filmfare! Yet Another Underwhelmed Recreation Of A Classic By Kaabil. Dhoom 4 Will Be An OTT Romantic Movie Because Aditya Chopra Might Be Directing It!